In the past years, there have been ruptures in church life that at a certain level seem completely inexplicable. Congregations that appear to be relatively peaceful are visited by times of turmoil and fractious debates. These difficulties have often been labeled (by those in the conflict) as disputes between the truly Reformed and the liberal members, or as conflicts arising between the truly Reformed and the legalists (depending on whose side you are on!). From the outside, many have said that these conflicts are between liberal and conservative factions in the church. These disputes might center on disagreements regarding the Lord’s Supper, interchurch relations, worship, liturgy, music, accompaniment, church architecture and design, the role of women, and many other matters in church life. On the whole, the disputes are found in matters of praxis, and not in doctrine and ethics. However, these disagreements sometimes have escalated to a level that ultimately created an atmosphere in which one side or the other no longer could happily worship in a united community. I propose that there is another way to define the growing divide we find in our churches. The conflict is not a dispute between liberals and conservatives. It is not between legalists and “gospelists”! It is not between the truly Reformed and the backsliders or the negativists. When members leave to worship elsewhere, either in other churches or other Canadian Reformed congregations, it is not a “purging” of bad elements. I propose that this divide is one defined by the rise of post-modernism in the western world and its effect in our church communities. On the one hand, there are those members who are still part of the modern world. Their lives are structured within the modernist worldview. On the other hand, there is a growing segment of members who are truly postmodern. The young people and many of those who were brought up in the 60’s and later are more and more postmodern in their outlook. Even some of the older members have shifted their perspectives to a more postmodern one. Their views on worship, religion, spirituality, and faith, are structured in a way that is very different from their modernist predecessors and contemporaries. 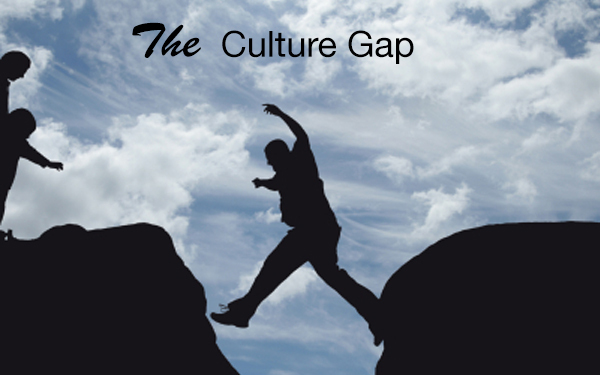 There is a growing lack of understanding between these groups in our churches because there is a widening cultural gap. Because we are discussing matters of common concern from fundamentally differing worldviews, we are misunderstanding and not understanding each other. There is a clash of cultures within congregations because (though we may not realize it) these differing worldviews underlie the words and actions of the members. Modernism, as the cultural product of the Enlightenment, has as a fundamental tenet that there are logical and scientific solutions to most problems. These ideas of the Enlightenment have greatly influenced the Church of the Lord Jesus Christ: also Reformed Churches with a Dutch heritage. Scientific analysis and logical defenses became paramount. Even preaching was logically structured according to the rules of rhetoric: a theme and three points. Doctrine was fundamentally important. Doing good theology was finding Biblical proof texts that proved the expressions of the Confessions. There were ways “to do things.” The sacraments were to be administered “in this way.” Preaching was doctrinally focused. Theology was scientific. By the early 20th century, Abraham Kuyper’s great encyclopedic method and structure of theology held sway in the Reformed world. “Head knowledge” was considered the most important part of Reformed life. Faith came through information. For those church members embedded in a modern world and (unwittingly) holding to a modernist worldview, this method of theology, worship, preaching, and church life functioned very well. The Holy Spirit effectively did regenerate people who were dead in their sins. Preachers and churches successfully presented the gospel of Jesus Christ into a modern western European culture. Churches flourished. Congregations served the Lord. People worshiped. Children were baptized; young people professed their faith; couples married; the dead were buried with Christian funerals. The gospel was preached; the church of the Lord Jesus Christ was gathered; the Holy Spirit did his work, and the Father in heaven was praised for his grace. Reformed confessors did all this with a modernist worldview in a modern world. Remarkably, however, this was done with pre-modern documents. The Heidelberg Catechism and the Belgic Confession were written in the 1560’s before the rise of modernism in Western society. They deal with the doctrines of the church in pre-modern ways. They are warm, personal, relational documents (see LD 1). The Canons of Dort, on the other hand, were the Reformed churches’ pre-modern response to the modernist attack of the Arminians. Arminius was a modernist, who wanted to interact with the gospel in a logical, scientific way. The church responded with a pre-modern answer. The world today is migrating to a postmodern worldview. This worldview is structured, not on a logical scientific basis, but rather on a basis that accents relationship and experience as fundamental. Science and logic are to serve relationship and experience, not regulate them. Many in our churches are greatly influenced by postmodern thought. In fact, there is a large segment of the church community that is completely embedded in this new culture. They are formed and molded by it. This is indisputable. Postmodernism has often been caricaturized as a system of thought where everyone can have his or her own truth. This is not really correct. It is correct that in the postmodern worldview, truth is not absolute. However it is not just subjective: “each to his own”. Rather, for the postmodern person, truth in this new worldview is one that is formed within communities. Different communities of faith or culture develop various truth claims. The Muslims have the Koran; the Christians have the Bible; the Hindus the Baghadavita. The Jews have the Law and the Prophets and the Writings. Postmodernism holds that in each community there is a valid fundamental truth and reality. This has led to very relativistic people who therefore live as if there were no absolute truth at all. Postmodernist Christ followers accent relationship and experience in community. This does not mean that they throw doctrine overboard, however. Postmodernists accent the necessity of belonging, of relationship, and of experience. This is a powerful incentive for the church to accent the role of “church” in the lives of postmodern members. Postmodernist young people want to belong to a community where they can experience the communion of saints and where worship is a meaningful authentic experience. The Three Forms of Unity, having come from a pre-modern world are potent weapons to wage spiritual warfare in a postmodern world. These confessions are not written along modernist worldview lines and structures. They are, instead, written from a viewpoint much closer to the postmodern worldview, accenting personal relationships, belonging, and experience. Moreover, the postmodern church member is much more likely to accept the reality of mystery and unknowable found in the medieval and pre-modern worldview than in that of the logical modernist. We must not attempt to argue that the modernist worldview is the Christian one and that post-modernism, in contrast, is anti or un-Christian. That is not the issue. Modernist scientism itself is not at its roots Christian. Neither was the pre-modern medieval worldview fundamentally Christian. Postmodernism is not either. Christians, however, live within their cultures. In Papua New Guinea the gospel of Jesus Christ is brought to Stone Age people. In the south Sudan the gospel is brought to tribal animists. They live and move and have their being within their cultures. They are formed by their cultures. Good mission theology teaches that the gospel needs to be acculturated without it being adulterated, so that those in different cultures can understand the grace that there is in Jesus Christ. Every preacher and missionary and church, needs to contextualize the gospel for the hearers whether they are Christians or not. On Sunday mornings, I preach in a Canadian Reformed congregation. Often, at 1:00 PM I preach to Sudanese Refugees. The refugees come from all sorts of tribes and languages and from a completely different – an African Tribal – culture. I need to preach differently for these two groups of believers (Canadian Reformed and Sudanese) because they have different worldviews. I need to contextualize the gospel differently for each community. I suggest that many conflicts in church life are fuelled by the inability of either side in the dispute to recognize that there even is a culture gap. We need to understand that we must create a dialogue across the gap that lies between modernist and postmodernist before it becomes a chasm into which the churches are sure to fall. When we discuss with each other, both sides in the dispute have to actively contextualize their words and responses. Otherwise there will be great misunderstanding. Often, however, it seems that the modernists are beginning to panic. The look and feel of church life is changing. The way things are done is in flux and they cannot understand it. As things in church life are beginning to change more and more, they retreat into a more and more modernist worldview. It seems as if the others are mounting a revolution. The others seem to reject the old paths, and always seem to want to move into new forms of liturgy and worship. The modernists, therefore, try to protect their losses by mounting vigorous defenses against forces which they simply do not understand. They rely on their modernist logic and scientific way of reasoning to maintain their position. They defend the Reformed doctrines, confessions and heritage against the relativism of the day, maintaining the truths handed down by the fathers. With great conviction they remain faithful to the Scripture and Confessions. The postmodernists, on the other hand, do not understand this response. They only want to enhance the worship and life of the church and feel that they are confronted by naysayers at every turn. They want to re-energize the communion of saints and are think that they are being stonewalled. They want a meaningful worship experience and cannot seem to find it among the modernist brothers and sisters. As the two sides descend into the darkness of church conflict, they flee from each other, erecting a dividing wall of hostility as great as the one separating Jew from Greek. The modernist will think that all this talk of relationship and experience is way too subjective. The postmodernist, on the other hand, will think that the supremacy of doctrine and rigorous theological discussion misses the point of believing in God: experiencing his presence and communion, and fellowship with fellow believers. We need to engage in a cross-cultural dialogue within our communities. There are strengths and weaknesses with both. Christ followers need to stand together in this world. Jesus Christ has broken down the cultural divide, the wall of hostility, between Jew and Greek. He most certainly is breaking down this one by his Word and Holy Spirit. As we together sit under the preaching of the Word, let us grab hold of the Catechism, the Confession, the Canons and use them as powerful witnesses to the truth. Cherish them as rigorous theological documents. And love them as wonderfully warm and experiential statements that we as children of the Reformation can use together. As preachers, teachers, parents and children, elders and parishioners, we need to engage in a meaningful dialogue across this culture gap. F.G. Oosterhoff makes a similar comment in “Dealing with Disagreements in the Church (2).” Clarion, April 13, 2007 (192). This article has been republished with John vanPopta’s permission. It was originally featured in Clarion Magazin Volume 56, No. 16 • August 3, 2007.